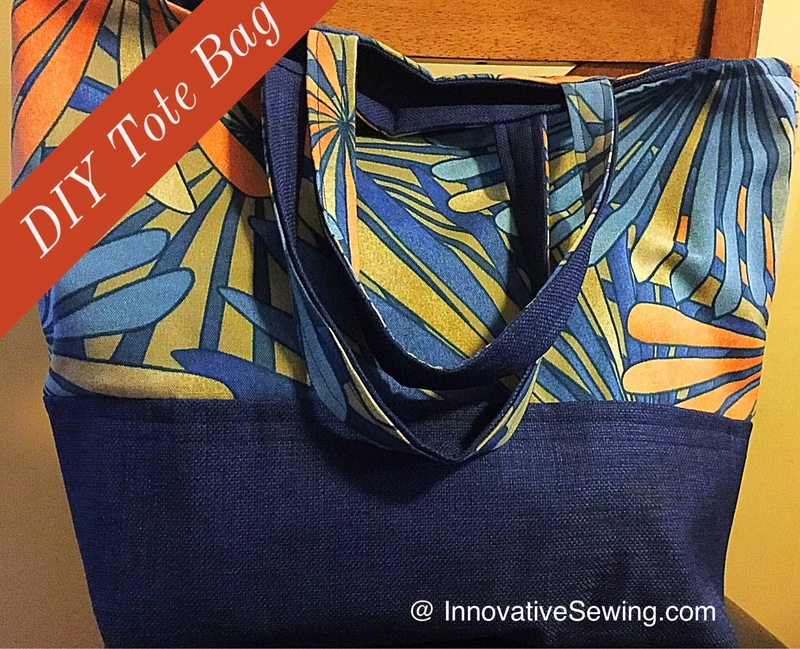 I came across this tote bag tutorial at Bijou Lovely website and instantly fell in love with it! It is the a great size to carry my belongings when I am on the go plus she gives easy to follow step by step instructions. Whether you need a tote bag that is stylish, to use for shopping or just the right size to carry your gym clothes this tote bag will be perfect for you. The finished tote bag is pretty big 13″ wide x 7″ deep x 14″ high! Topstitch the straps and base fabric of the tote bag even if you can not sew a straight stitch. It will give your tote bag a more polished professional finished product. Use Interfacing when creating the tote bag even when you think it is not necessary. Interfacing will give your bag a great shape, reinforce the bag and help minimize wear and tear of the bag overtime. 4 yards Interfacing: Sturdy interfacing such as Pellon Fusible #931TD works best. Yardstick or Ruler to measure fabric with.